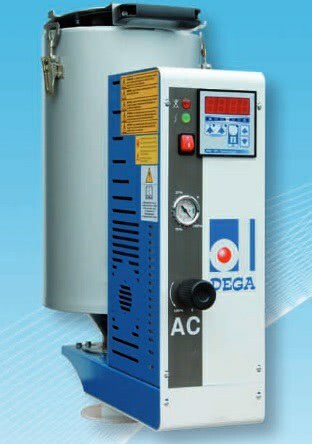 Dehumidifier with compressed air of technical plastics, mounted directly on the injection molding machine. Drying temperature max. 160 degrees.